I use universal poppets exclusively when rebuilding kegs. So far, they have worked in every one of my kegs. I, generally, like their cost and also like the fact that I don’t have to figure out and pay for model specific OEM part. Here’s a look at 5 universal keg poppets – via Amazon – this review features the poppets I received. Because multiple vendors can fulfill orders and products change over time, it’s possible you’ll receive a slightly different product. My 5 universal poppets arrived in bags inside of a bag. Bags! Here it is disassembled. Poppets generally have three pieces – a spring, a small o-ring and a stainless piece that holds the o-ring. 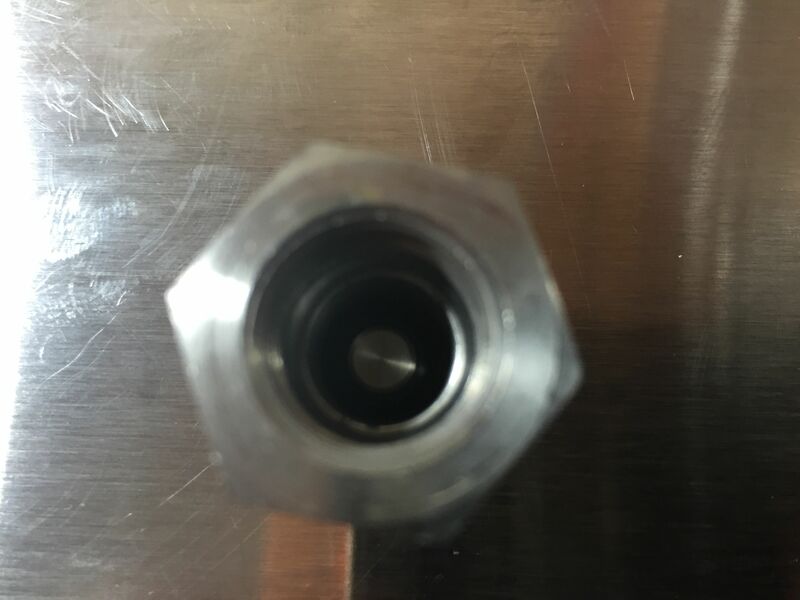 This stainless piece has a groove to firmly hold the o-ring in place when assembled. 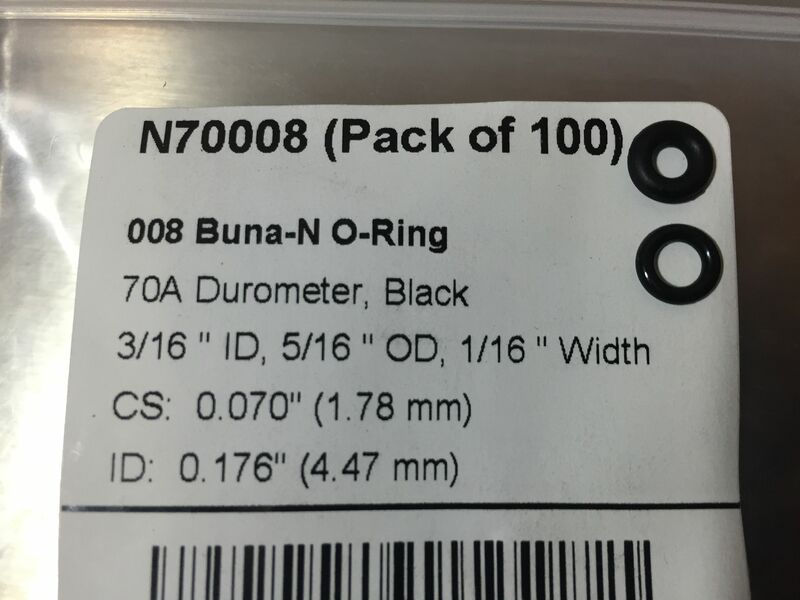 I have been in the process of testing 008 Buna-N O-Rings as replacement universal poppet o-rings. Here you can see the two side by side. The top gasket came with these poppets. 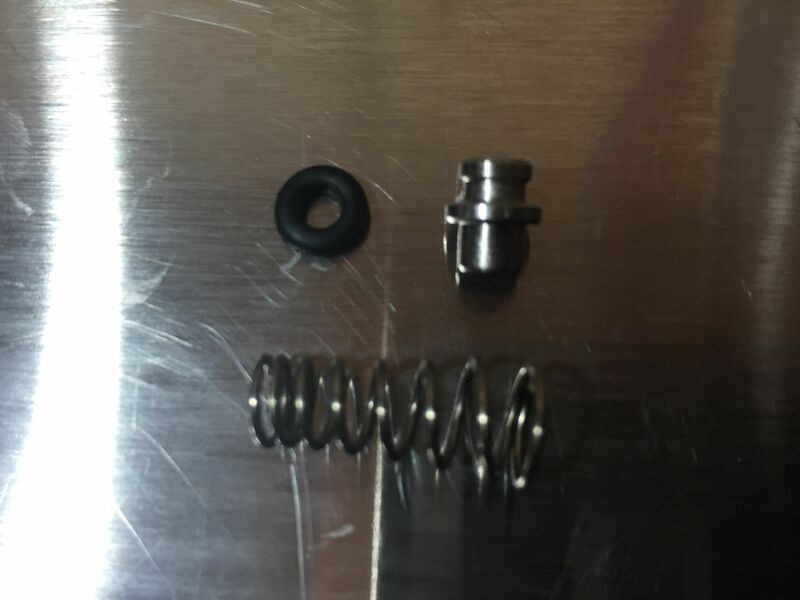 You can see OEM o-ring appears to be just a bit larger. In spite of the differences I have found that the 008 size has worked on all 4 of the universal poppet styles that I have including this one. Still testing, conclusions wait for… another post on another day. 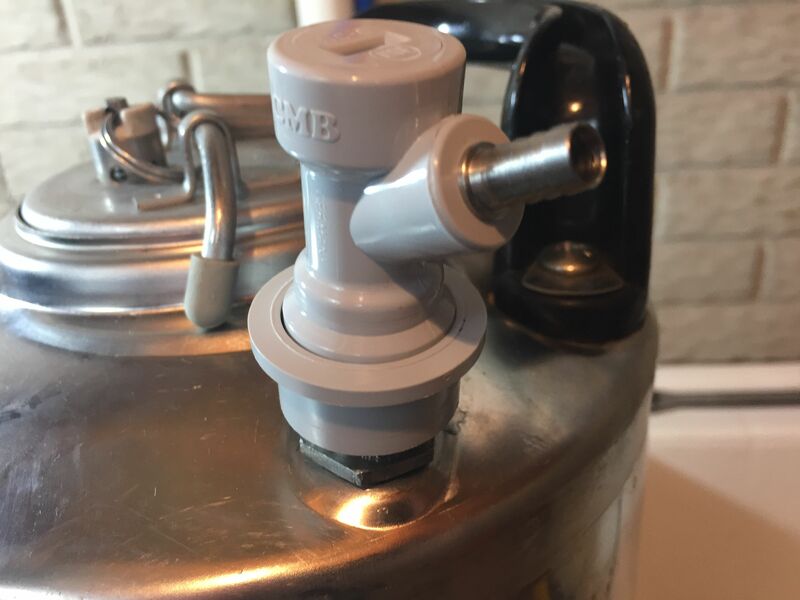 I usually flip the assembled top part into the keg body and then put the spring in. Spring installed. I’ll then flip everything right side up (trying to hold the poppet in with one finger) and put the assmbly on the keg. Here it is installed. 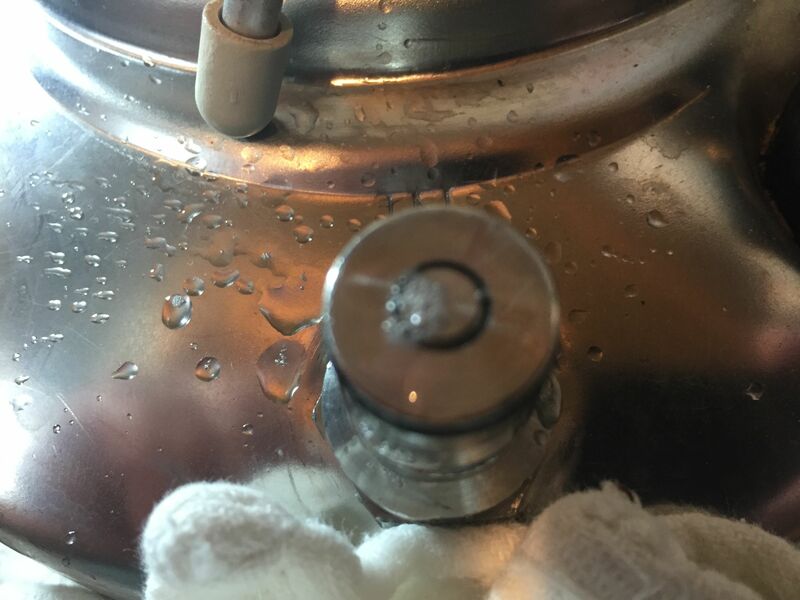 This picture doesn’t tell the whole tale, but… This is the gas side of a 3 gallon ball lock keg, mostly filled with water (to save CO2). I sprayed this with Star San to test for leaks. No leaks. I used this gas poppet to relieve pressure. 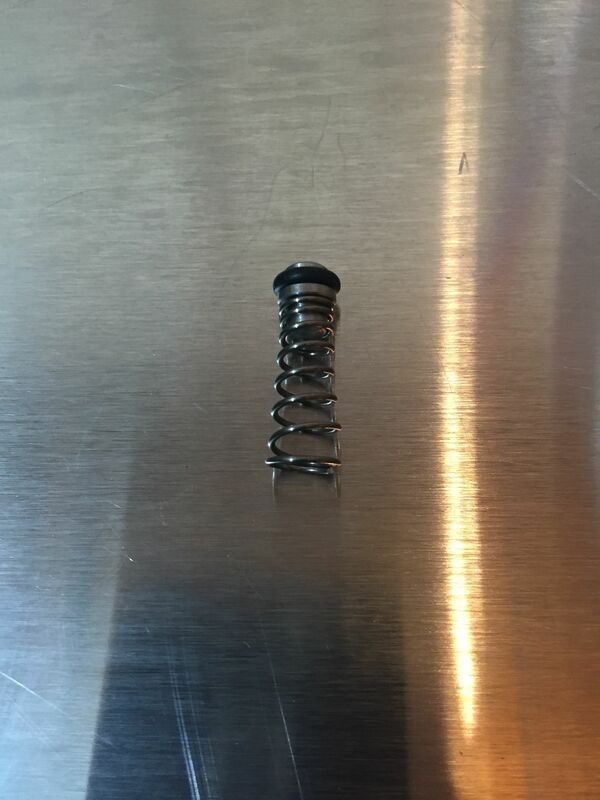 If I were keeping these poppets in this keg, I would trim the spring the fit was a bit tight. See tip below. 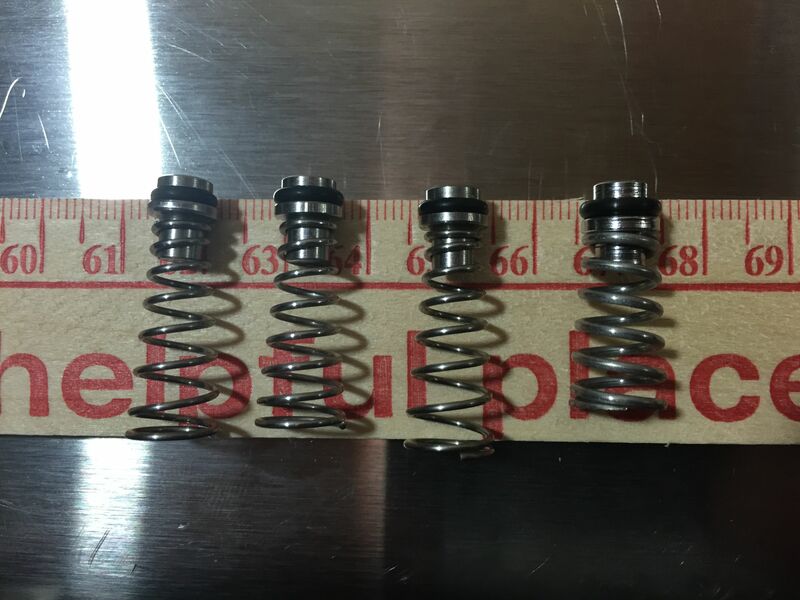 Here’s the spring after being installed and tested. 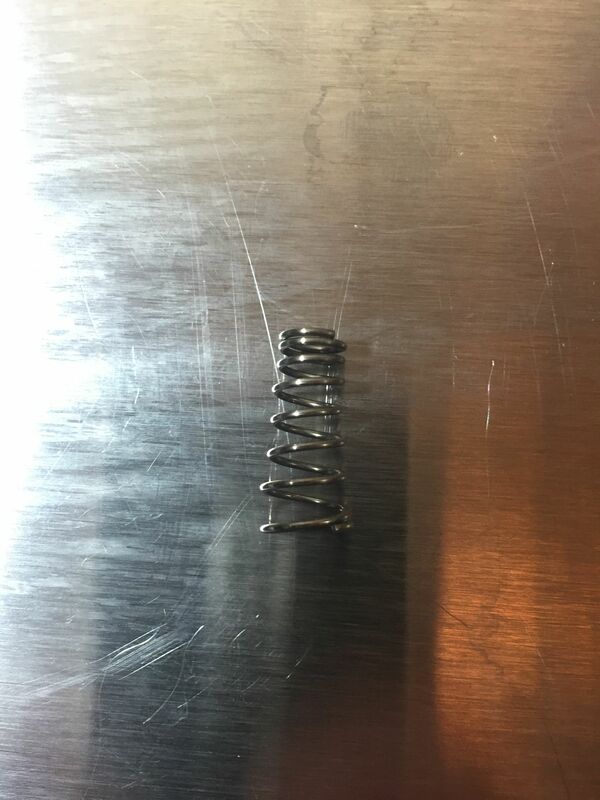 Hey.. it’s still a spring. I completed this review along with preliminary testing on dash 008 o-rings for use as universal poppet replacement o-rings. Here’s a picture that will probably end up in that post. Going through my universal poppets, I initially thought I had 3 distinct styles. Looking more closely, I believe I have 4 distinct styles. Two types are very, very close, although I think they vary in length just slightly. In my experience, Universal Poppets fit the vast majority of kegs without issue. I have had a couple kegs that ended up being a bit too tight with these. It’s an easy fix. Use a pair of wire cutters or Nipper Pliers to trim the universal poppet. I suggest taking off about half of a coil and testing. You want the QD to slide on easily and for it to reliably hold pressure when the QD is off. Taking off a half of a coil and testing helps you make sure you don’t end up making the poppet too loose. 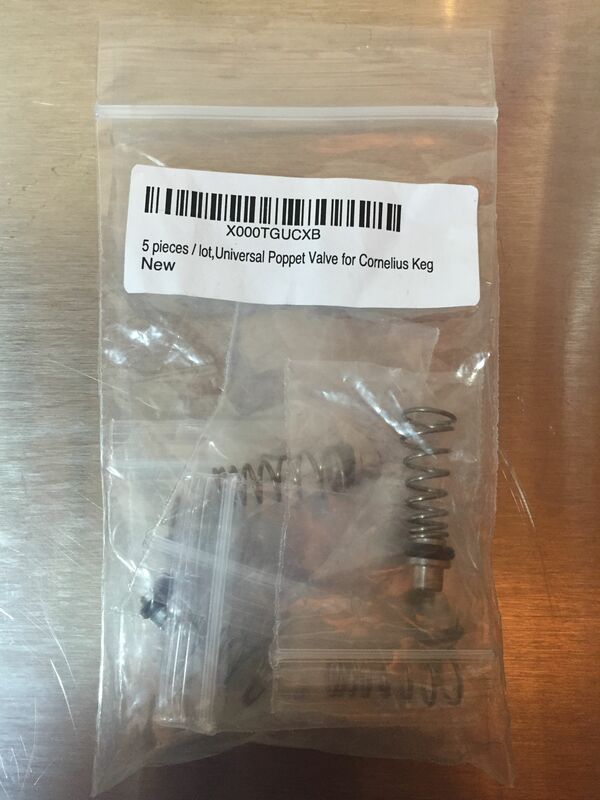 5 pieces / lot,Universal Poppet Valve for Cornelius Keg – this review features the poppets I received. Because multiple vendors can fulfill orders and products change over time, it’s possible you’ll receive a slightly different product.. 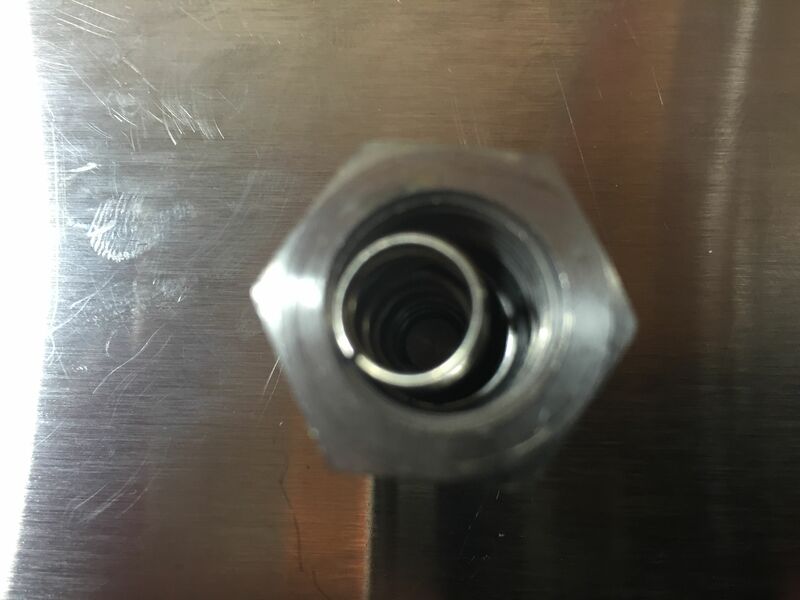 This entry was posted in Amazon, Ball Lock, Draft, Featured Reviews, HBF Tested, Keg Parts, Reviews, Reviews & Top Posts on November 3, 2015 by admin.